Things didn’t go too well with Samsung with the Galaxy Note 7, costing the Korean company billions of dollars in loss. 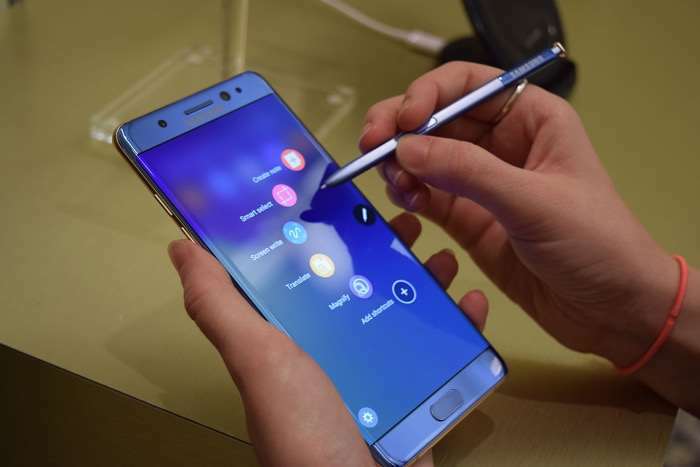 However, the company is still set to continue and overcome the problems it faced with the Galaxy Note 7. According to a new rumor, Samsung is working on the alleged Galaxy Note 8 which is codenamed “Baikal”, courtesy of a Twitter leaker. In case you dont know, Baikal is one of the deepest lakes in Siberia. Unfortunately, the leak didn’t mention anything about what we may expect from the handset or when it will launch. There’s no official confirmation from the Korean company itself, but we can expect the handset to follow its traditional launch cycle, which is, IFA show in Berlin. Previous rumors suggest that the Samsung Galaxy Note 8 will come with 4K resolution display, and will reportedly feature the the AI-powered virtual assistant Bixby. The batteries will be apparently purchased from LG, and that’s all we really know about the alleged phablet at the moment. We’ll update you as soon as we get any other information about the Galaxy Note 8.